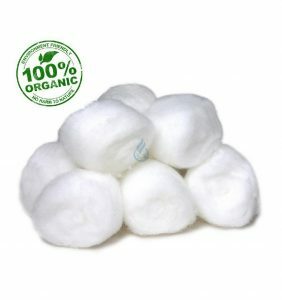 The organic cotton or organic cotton is the one that is grown without toxic substances such as fertilizers, insecticides and pesticides of petro-chemical origin. And water management is done more efficiently, through the increase of organic matter in the soil. Up to 50% less can be used than in normal cotton cultivation. Being free of toxic waste, the garment is softer and more breathable. It is hypoallergenic, suitable for sensitive skin and ideal for babies with atopic skin. – Besides being good for the health of the consumer, it is also beneficial for the one who produces it, from the farmer to the person who makes it, for the non-inhalation of highly toxic products. – Conventional cotton cultivation accounts for 3% of the world’s crop. It uses, however, 10% of pesticides and 25% of insecticides in the world. – Organic cotton has recovered varieties that disappeared with industrialization. It is important to indicate that organic cotton benefits the environment, respecting natural resources, reducing the contamination of soil, air and water. It uses techniques such as crop rotation and organic fertilizers, such as rock meal or humus.